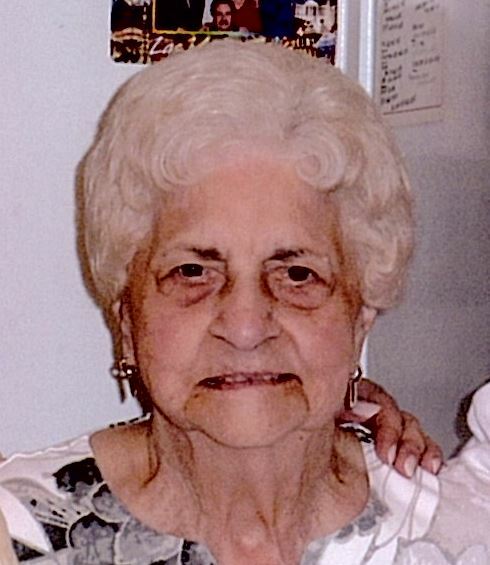 Frances M. Malone, 97, formerly of Morton Grove, beloved wife of the late John; dear mother of Marlene Kenney, Patricia, Robert, Dennis and Steve; loving grandmother of 7; devoted great grandmother of 6; fond sister of James Vani and the late Joseph Vani. Former cook at Golf Middle School in Morton Grove for 46 years retiring in 2009. Funeral from Simkins Funeral Home 6251 Dempster St. Morton Grove Saturday Nov. 24th 9:30 a.m. to St. Martha Church 8523 Georgiana Ave. Morton Grove; Mass 10 a.m. Entombment All Saints Cemetery. Visitation Friday 3 to 8 p.m.